If there’s one thing that binds friends forever, it’s the shared goal of having an awesome Instagram feed. So gather your girlfriends for a day of good food and good conversations—without sacrificing your ~aesthetic~. Formerly known as Craft Coffee, Ella and The Blackbird keeps the artsy elements of its predecessor while bringing in an added coziness and homey feel. We’re not quite over the pastel trend, and Nono’s is exactly the reason why. From its soft pink walls to the cleverly mismatched furniture, this café has all the makings of a perfect dainty brunch. Don’t shy away from their kids’ menu either, ‘cause that Butter & Parmesan Pasta tastes pretty incredible. We’re sharing a little secret from the South! 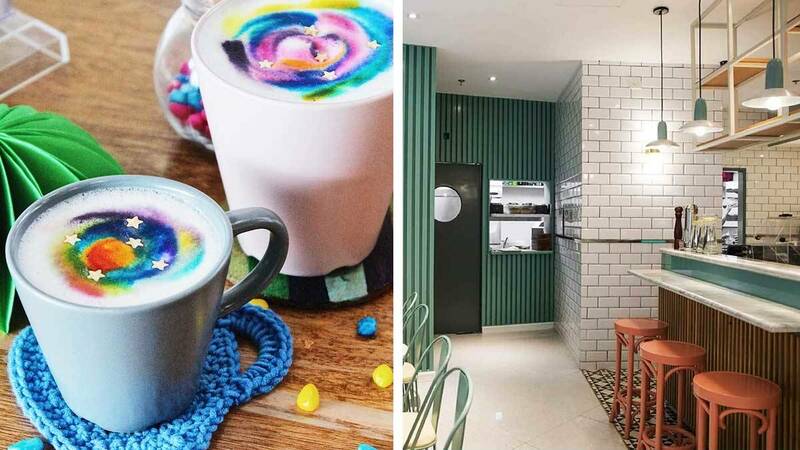 Relive K-drama fantasies in this colorful and cozy hangout spot. Trust us, they’ve got yummy bingsu to match your equally yummy oppas. Designer furniture and specialty coffee? The combination surprisingly works! Mozaic Living joins a posh ambience with just the right amount of quirk to give you the perfect backdrop for your chikahan. Plus, we’re crushing hard on those Mia Casal barnacle cups. What’s a reunion without a bit of nostalgia? The Hello Kitty-themed interiors, pastries, and drinks are sure to give ‘90s kids a throwback moment every five minutes. Some Mondays aren’t so bad. This café draws inspiration from Korean and Vietnamese coffee shops to bring you Instagram-worthy shots at every corner. Got a bunch of hipsters for friends? Artesania Café is big on art, right down to their galaxy-inspired coffees. If you’re lucky, you can even chance upon a creative workshop or two for that ultimate bonding experience. With its trippy black and white walls, contrasting floors, and surprising color accents, the place just screams for a photo. And their Chicken and Waffles? 10/10. We’re riding that third wave trend until the very end. Fundamental serves amazing, fuss-free coffee and brunch selections best enjoyed in their lovely industrial setup. Oh, and we are totally living for that vintage menu board.